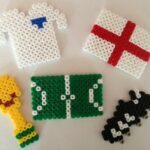 The kids have gone HAMA BEAD CRAZY!!!! 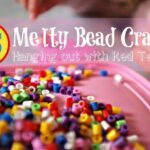 Yes, those “awful little plastic beads” that you melt with an iron have taken over our house also knowns as Perler Beads or Melty Beads…. 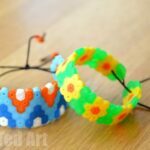 But you know, the kids love them, they are bright and colourful and actually, there are a number of things you can make with them. Not to mention, that the kids can spend hours sitting there “beading” in a nice and quiet sort of fashion. 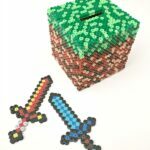 I just bought no less than 16,000 of Hama Beads from my friend’s craft shop Craft Merrily (and no, I am not on commission!). Can’t go wrong there! 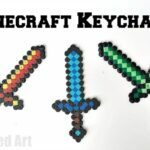 Left with all these amazing creations, what are we to make with them? 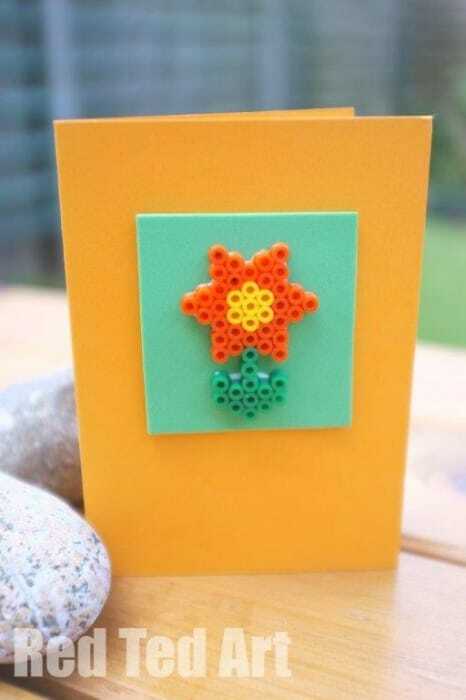 Cards of course (esp when you are late sending a Birthday card to dear friend in Holland! Argh). Anyway, pretty, no? 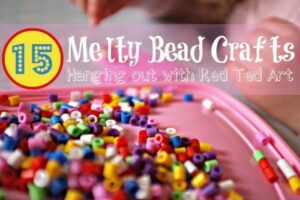 And a great way to use up some of those Melty Bead creations!! 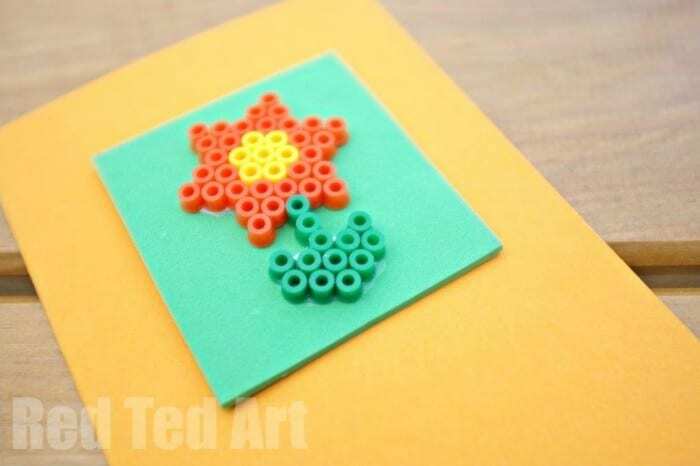 We made our design, ironed it as per instructions (with a piece of baking paper to protect the iron) and then once cooled, stuck it on some craft foam and then onto card stock to make this card (using white glue). Now just to persuade my kids to part with some of those said creations. Anyway. 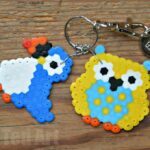 Wishing you lots of Hama Bead fun! 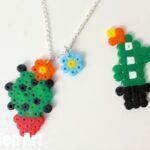 Interested in more Hama Bead Ideas, check out the following! Lovely! Great idea! 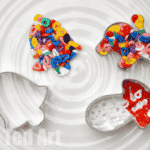 My girlie loves the beads for years, now she is almost 8 and the beads are still one of her favorite thing to play with. We did the same thing a couple of weekends ago for purplemum’s daughter’s birthday. It was a teddy bear’s picnic party so my daughter came up with the idea of using her teddy frame then sticking that onto a card. Awe love that it was her idea too! These are very nice cards, thanks for the inspiration. We did our own birthday cards using washi tape, which are also very easy to do. Yours are also very cool, so I’ll keep it in mind for the next birthday we’ll have to celebrate :-). Thanks again for the inspiration.